------523. 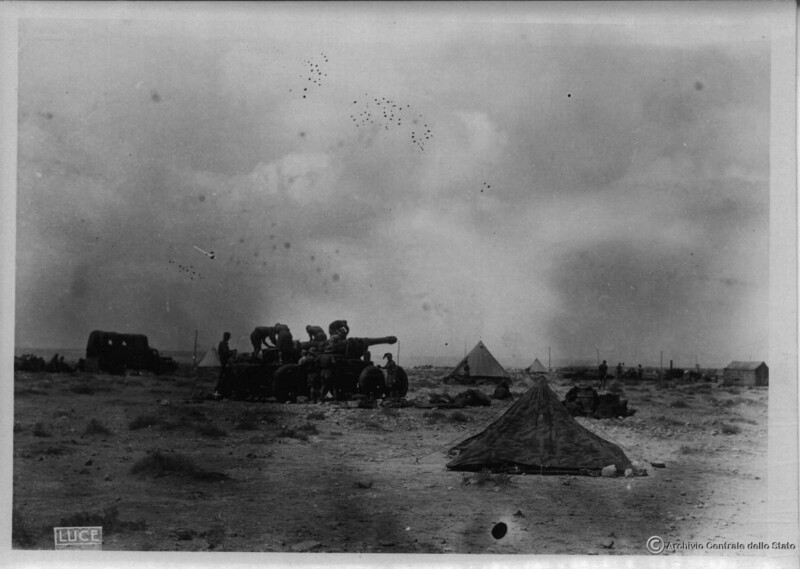 Kusten Artillerie Abteilung (-) (see KG "Menny") – 8 x 155mm sFH414[f] How. ------528. Kusten Artillerie Abteilung – 12 x 155mm sFH414[f] How. ------529. Kusten Artillerie Abteilung – 12 x 155mm sFH414[f] How. ------532. Kusten Artillerie Abteilung – 12 x 155mm sFH414[f] How. ----3./523. Kusten Artillerie Abteilung - (attached) (see Arko 104.) – 4 x 155mm sFH414[f] How. ----533. Kusten Artillerie Abteilung - (attached) – 12 x 155mm sFH414[f] How. 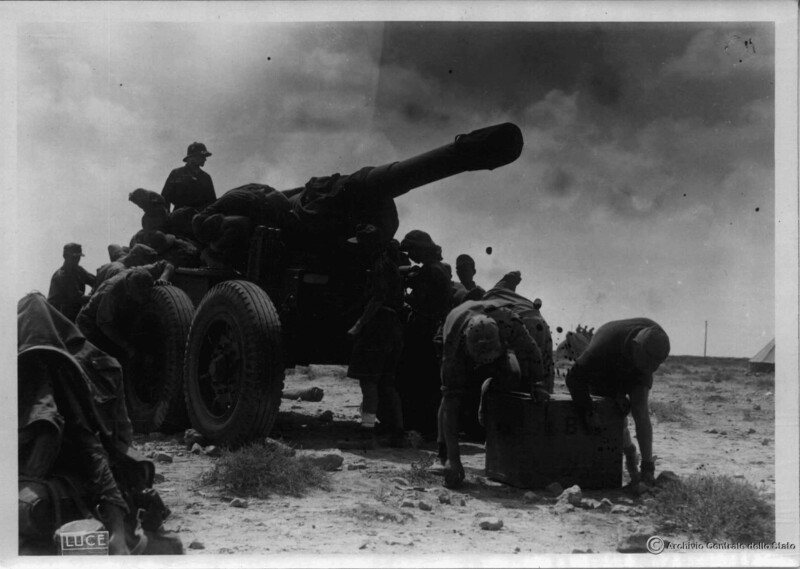 Moreover, it is certainly possible that they were used even earlier, in Operation Crusader and siege of Tobruk. According to this page HKAA 533 had GPFs at least from April 1941 until January 1942, when it was rearmed with Schneiders due to heavy losses. I would assume that happened during Operation Crusader, as next is stated that HKAA 523 was incorporated into 533 after being wiped out in December near Sallum. Only a few of them were lost during Sidi Rezegh (about 2-4 guns), so the HKAA 533 used to have his guns for Gazala. These guns were very mobile on strategical movements (tactical mobility was not good at all, for example on allroad), especially because it was heavy and resistant, and towed with only one heavy arty tractor (usually a SdkFz 7 or 9). For example 17cm or 21cm, it was towed in two pieces (sometimes the 17cm were towed for shorts travel with one Famo). 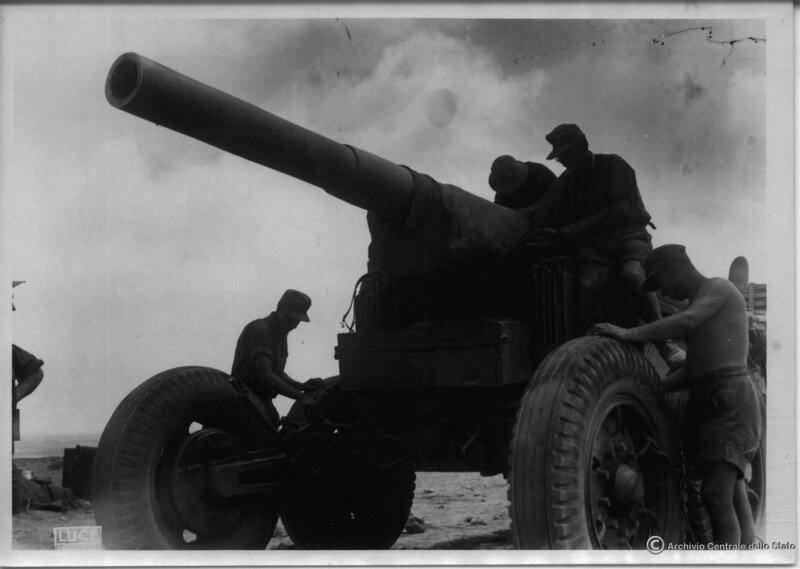 The last 15,5cm K 418/419 were used during Tunisian campaign. from my point of view, 155 pieces are commander arty. But why do you need even model when commander arty is not seen on map? Is commander arty coded like spawning bombs in air that rain down or actually gun firing somwhere on secondary terrain? What are guns used for other factions in FH2 for commander arty? Well they are more strategic and with bigger range. But as Gazala map is super scaled down , it somehow fits the scenario and situation. I think its better to be used by players somewhere than just static on PdH map or as commander arty only. Plus it would look cool. But its not on me to decide will it be used in map or not. But why do you need even model when commander arty is not seen on map? Played on several FH2 maps today. Have the devs though about replacing the default loading song with custom one? Which maps did you have in mind when thinking of upating the songs? I guess it should become a server rule. This tactic ruins the athmosphere just as much as shooting into the ABC line, TKing, etc. Let's say we have a Flak 88, shoot and reload, get out of it and and then get in again. At this time, we have to reload the gun again even if it was already loaded when we left it. This same thing happens with any cannon-kind weapon as mortars and tanks. My question is: could this be changed so when we use a asset of this kind, it recovers the state it was when it was left? If it was unloaded, we will need to reload, otherwise we can use it directly. No this is on purpose so people don't jump into guns and immediatly fire. The ability to turn off the tank in the driver's seat. Turning off the tank gets rid of the noisy engine and allows the tanker to listen for other tanks in the vicinity. Especially useful for tank destroyers waiting in an ambush spot. Yeah, but unfortunately, it is not possible in BF2 engine. You can do it in PR, unless they changed the engine to do it.